Come LEARN, SHARE, and GROW with us. Today, websites are more critical to businesses success than ever before. Unfortunately, many have limited understanding to what a website should be, and more importantly, lack the knowledge of what a functional, fully-optimized website can deliver. Many under-estimate the value of going beyond a website that looks pretty. In order for a website to succeed in today’s digital focused world, we must go beyond design. Planning a website redesign? Adding new functionality? Going through a CMS upgrade? Implementing an SEO plan? Rewriting your content? There are many things that can go wrong, so how do you avoid the unknown? Join us as Chad Spaude, our director of web services, takes you through some real world examples of common disasters and how to plan for the unexpected. From understanding how users are finding your website to how they are interacting with your website content, a website audit can help increase the overall effectiveness of your marketing efforts. A website audit helps determine whether your website is achieving your goals, but more importantly, it provides actionable steps to take to improve it and increase performance. In this mini-workshop, you will learn how to utilize some of the tools like Google Anlaytics and Inspectlet to audit performance and walk away with an actionable plan to put into place. 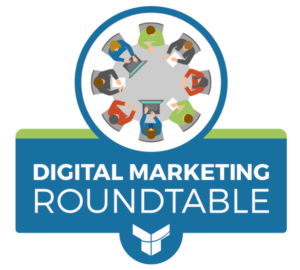 The Digital Marketing Roundtable is a quarterly invite-only event designed to give marketing executives and business leaders the opportunity to network with like-minded professionals in the area while learning how others have been leveraging digital marketing tactics. This event has been designed to address the challenges and interests of professionals who have the responsibility of crafting a marketing strategy, allocating budgets, overseeing the execution, and reporting on the results.